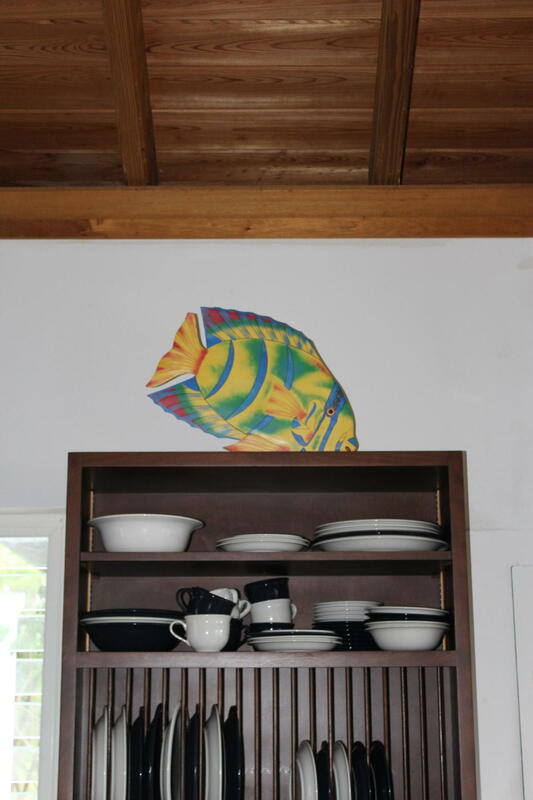 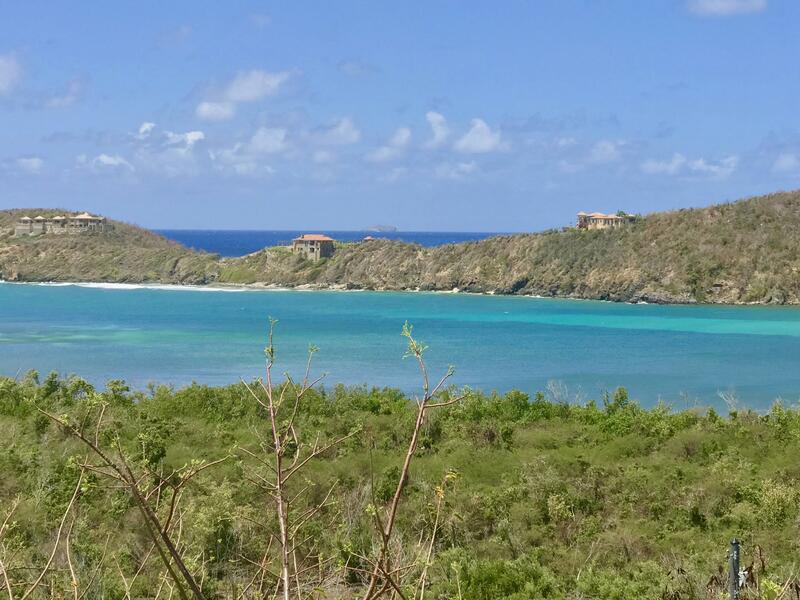 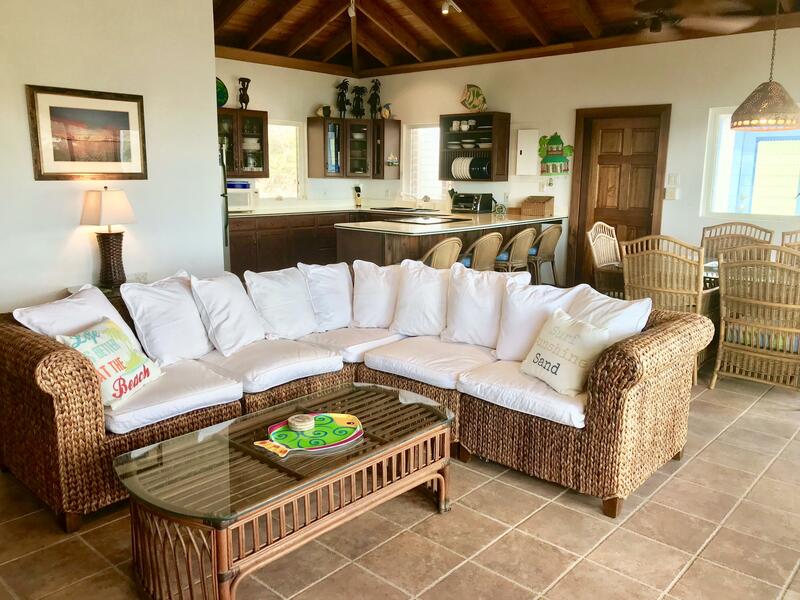 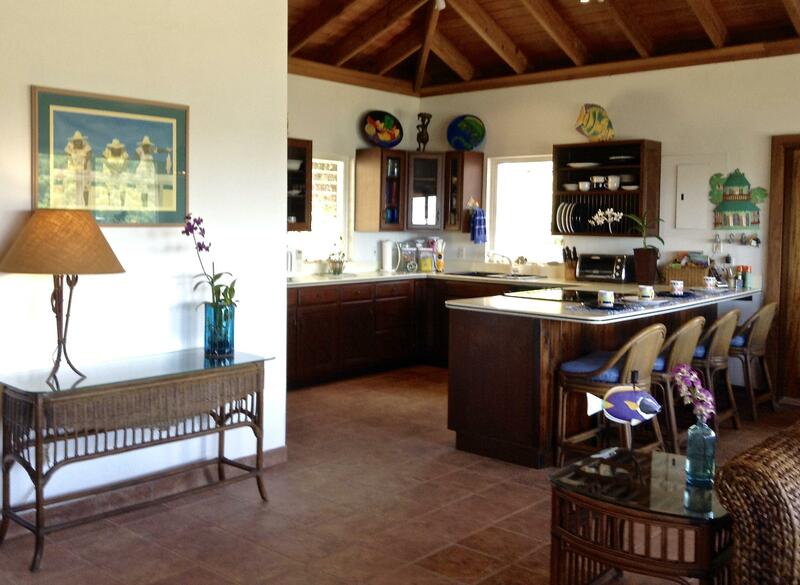 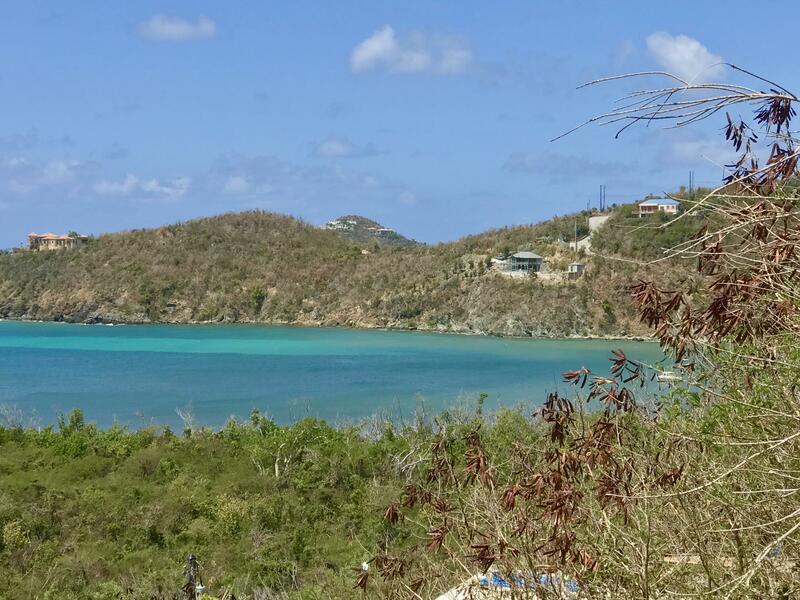 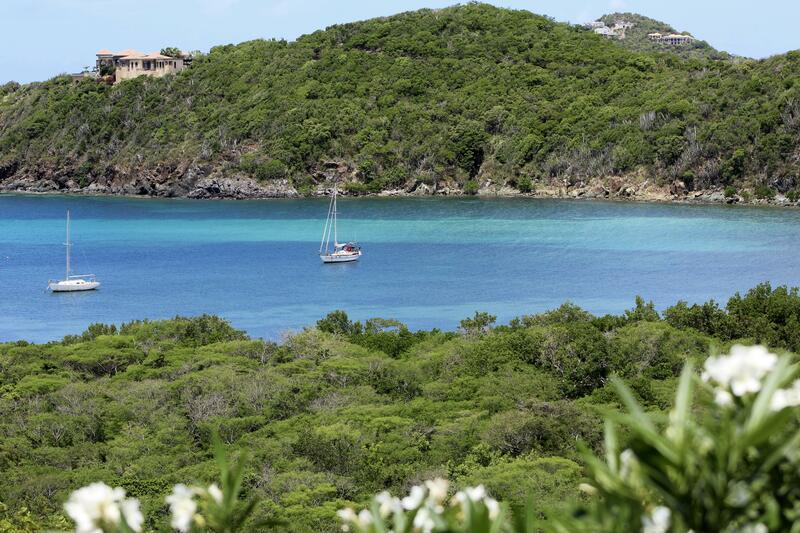 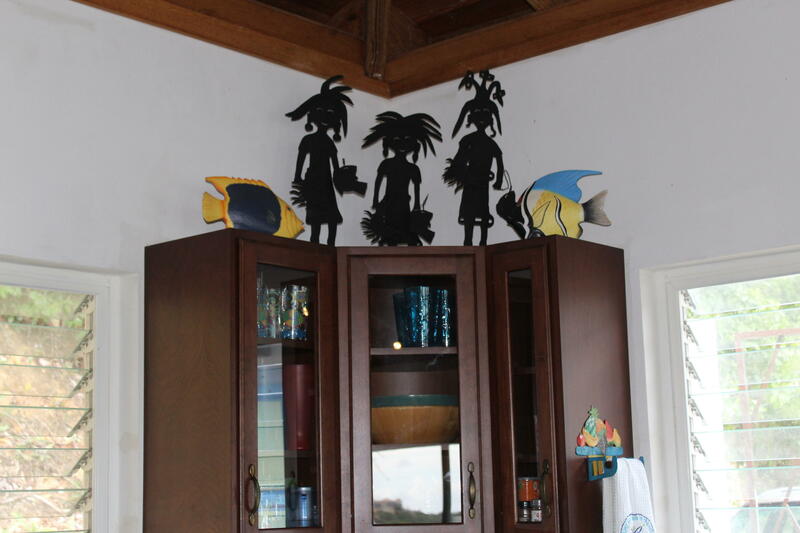 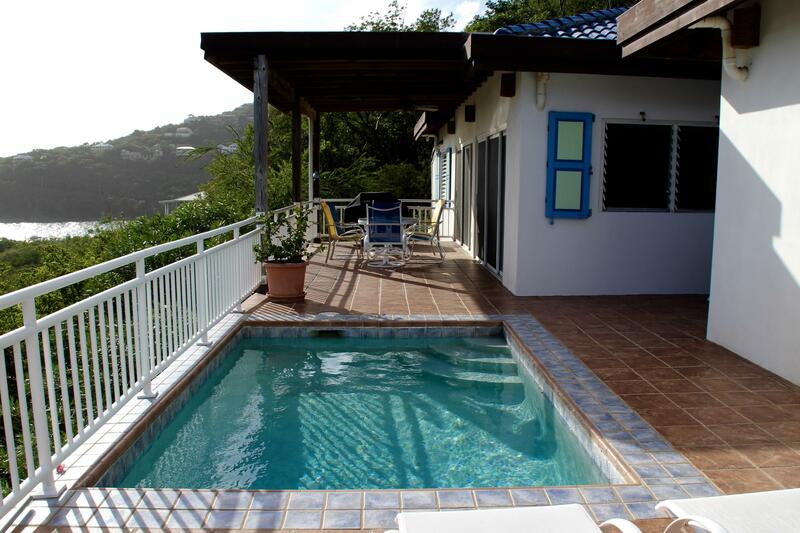 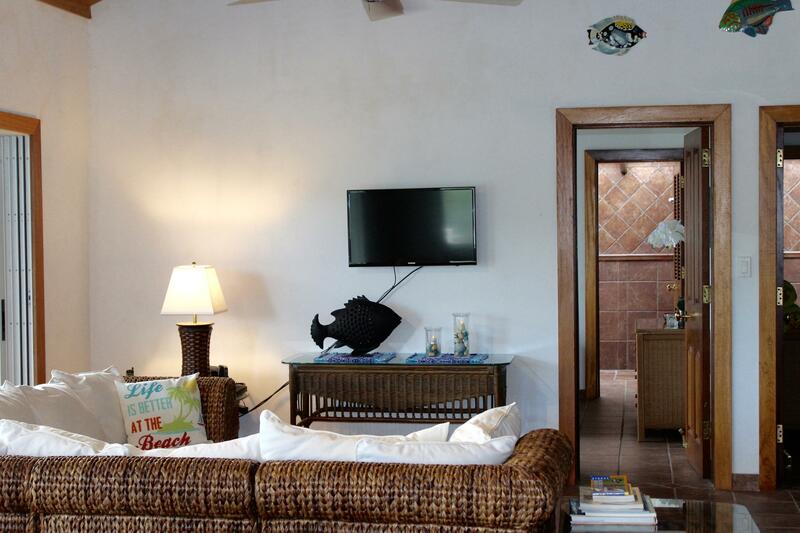 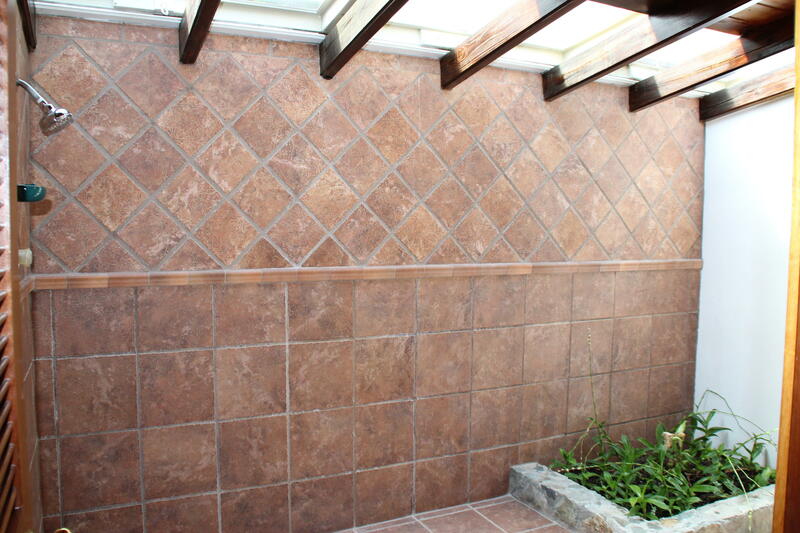 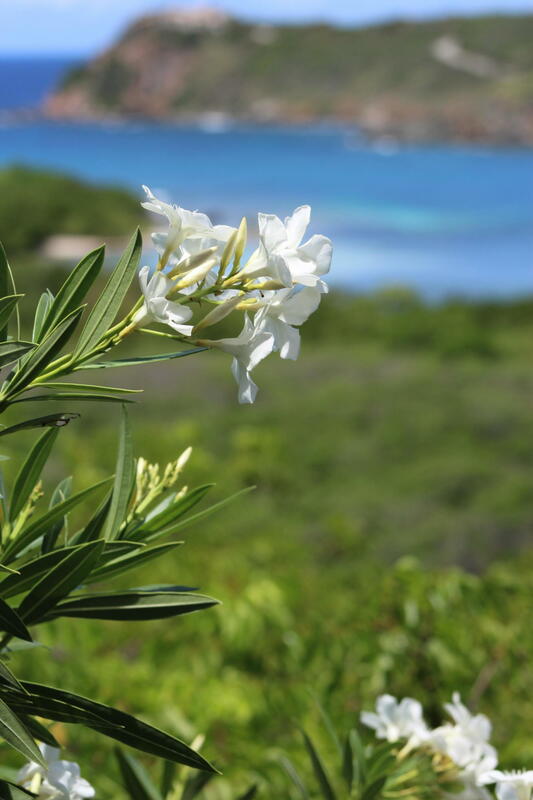 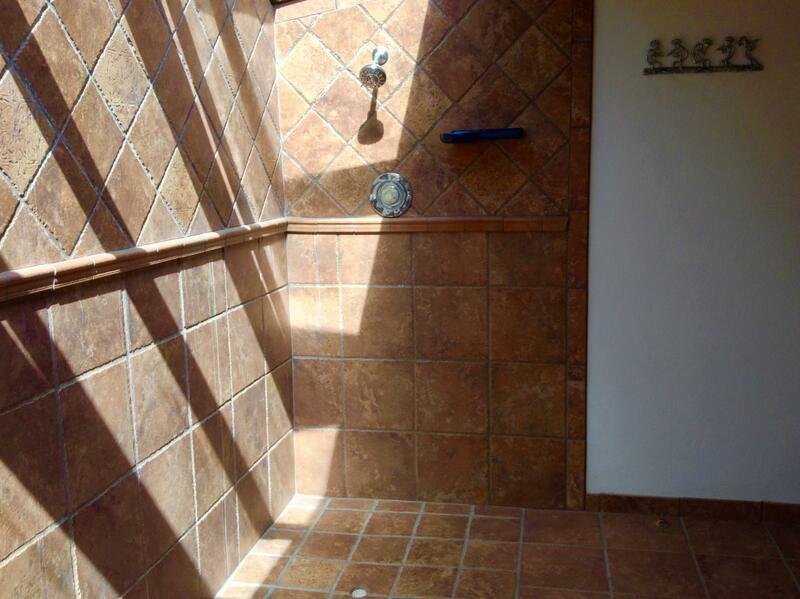 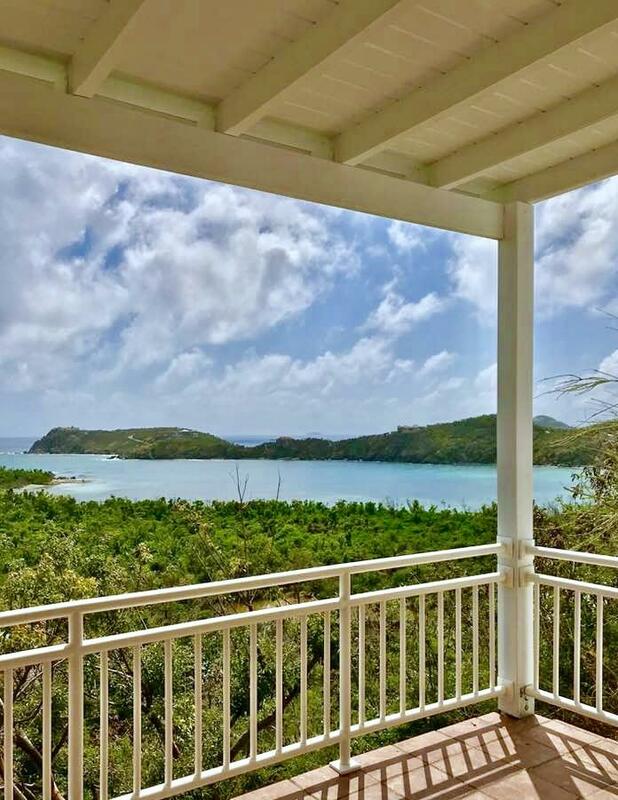 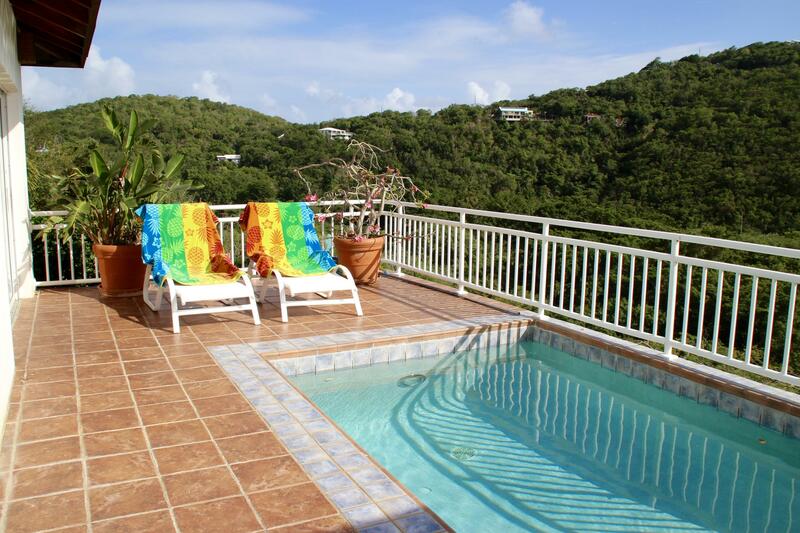 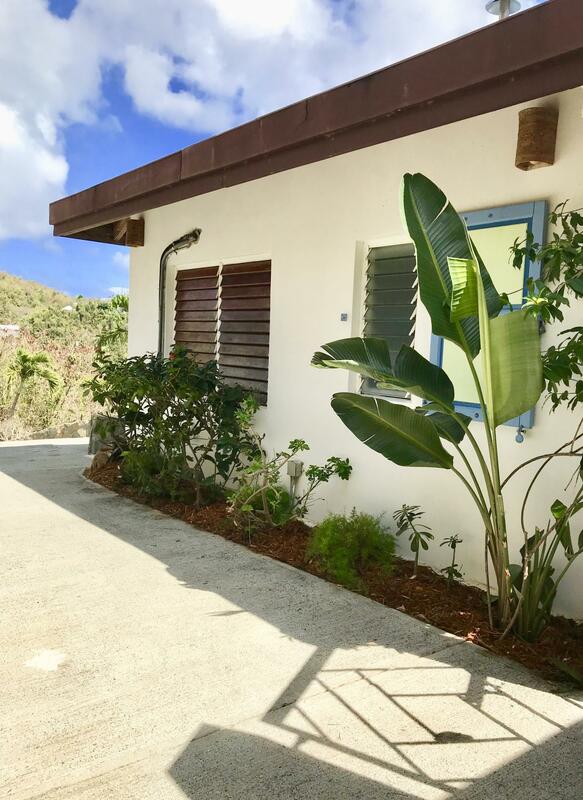 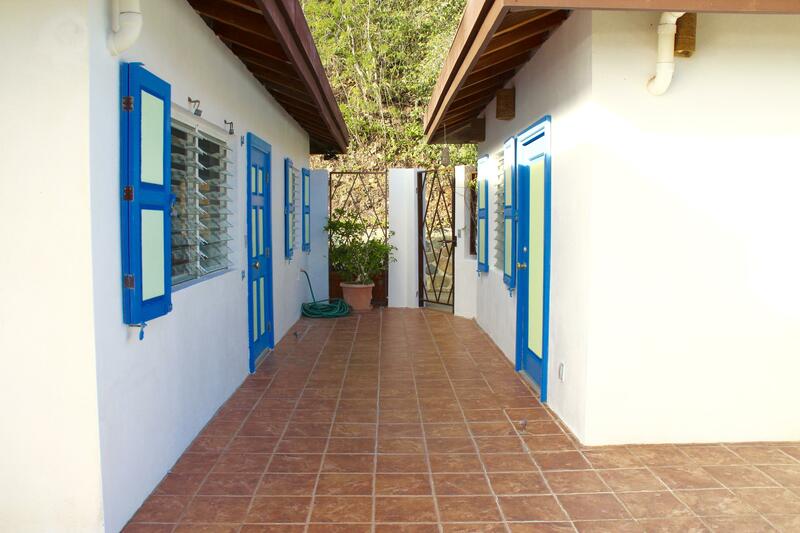 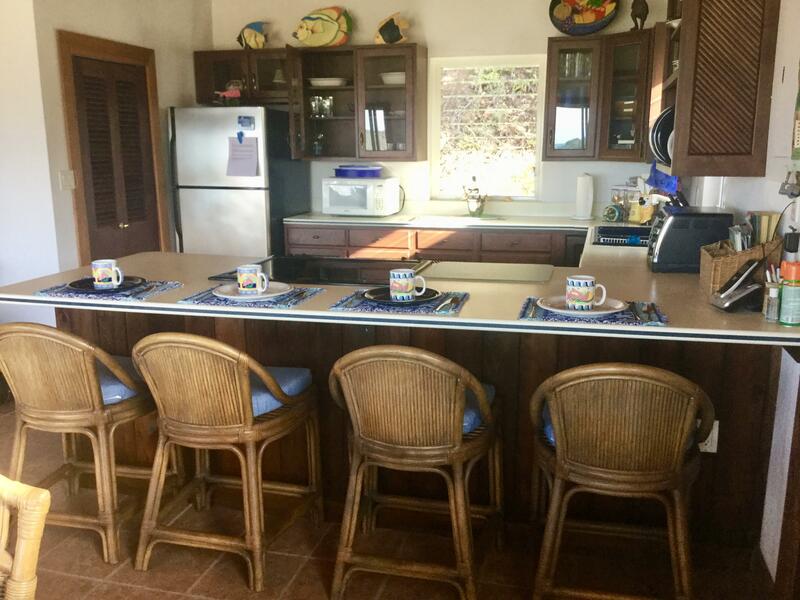 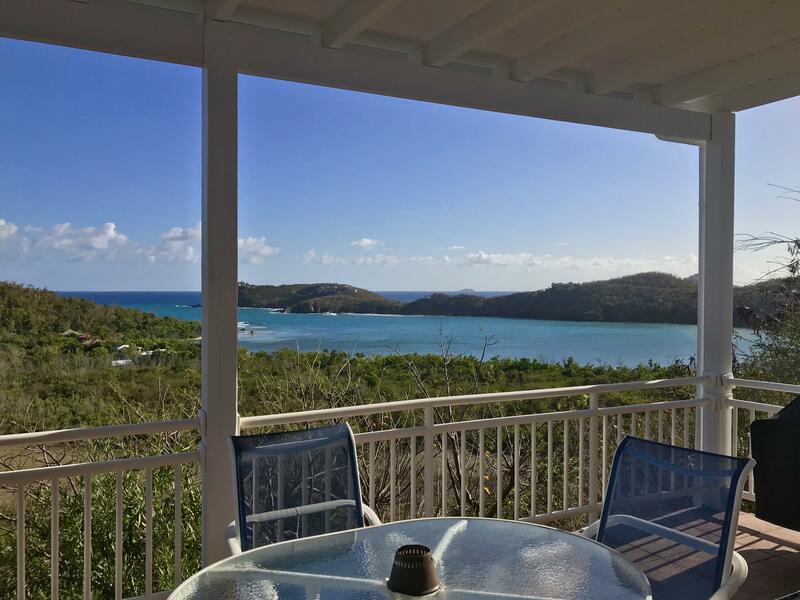 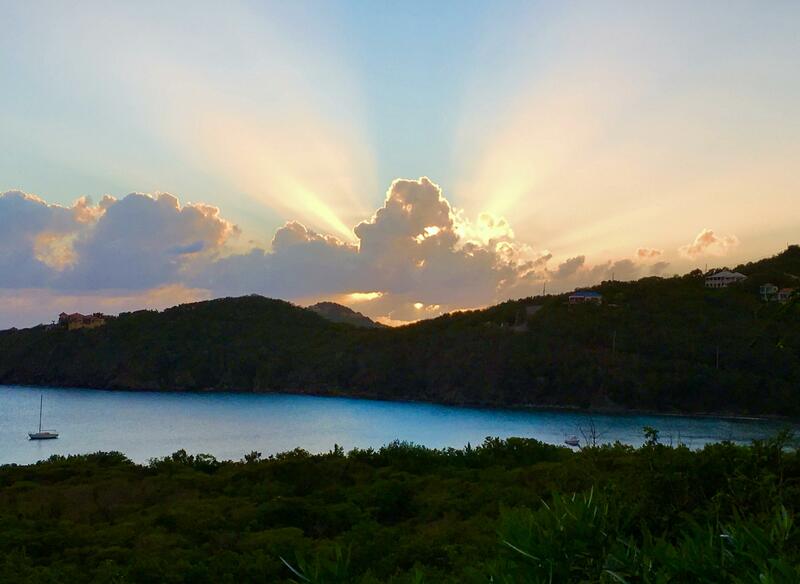 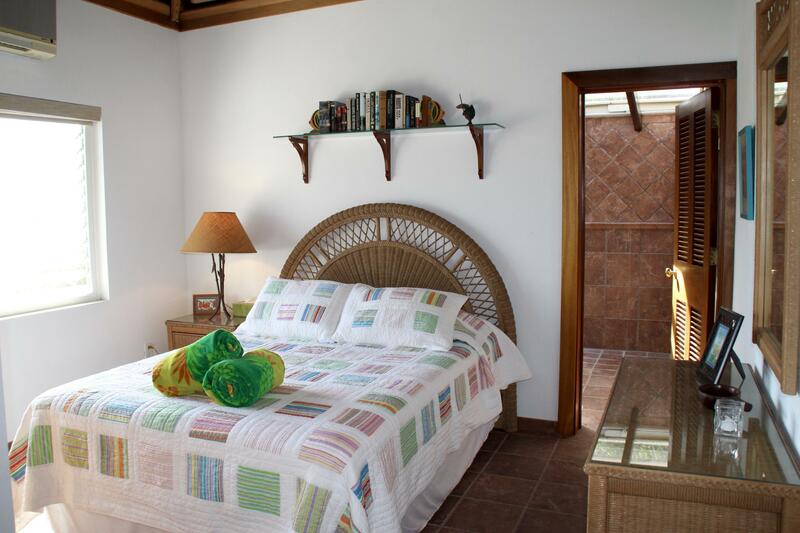 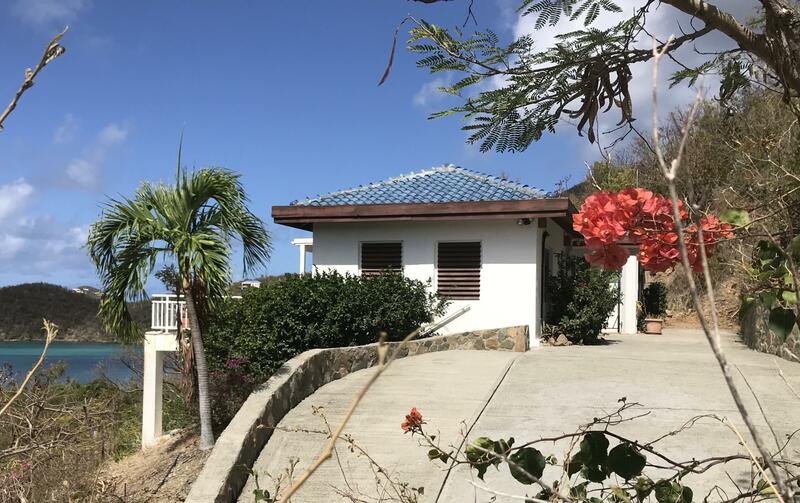 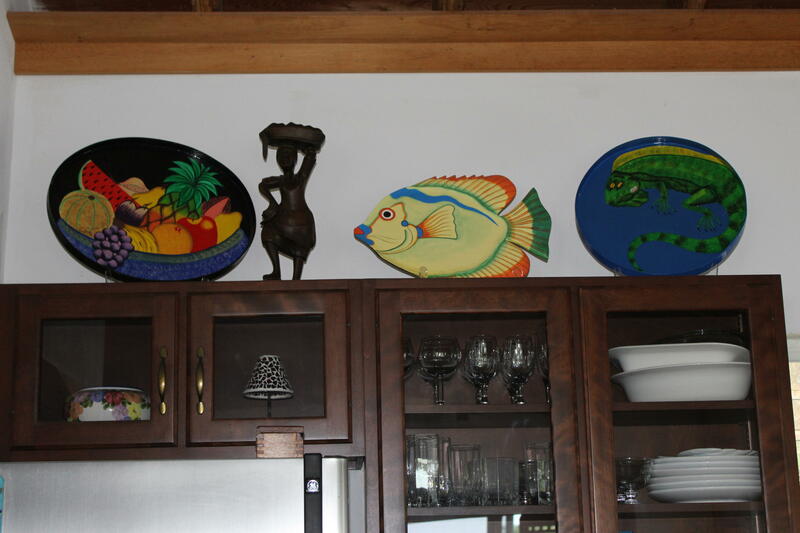 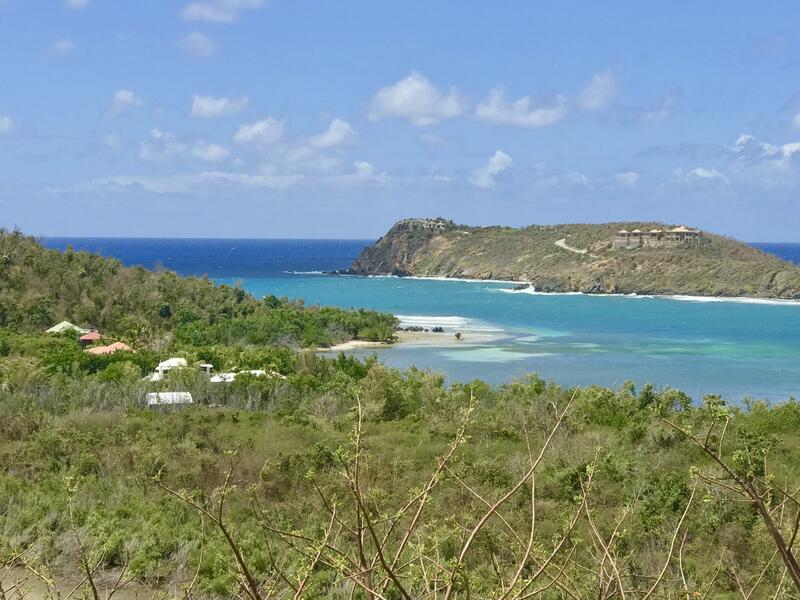 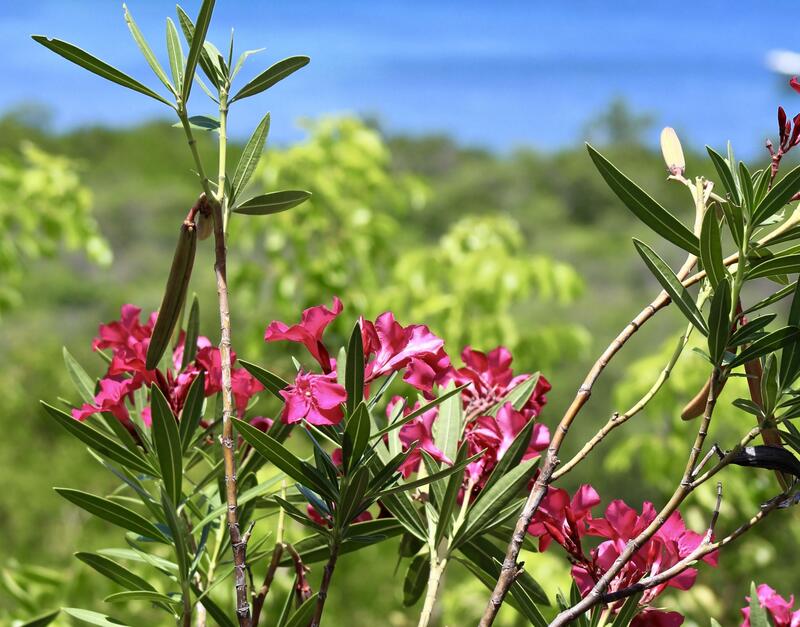 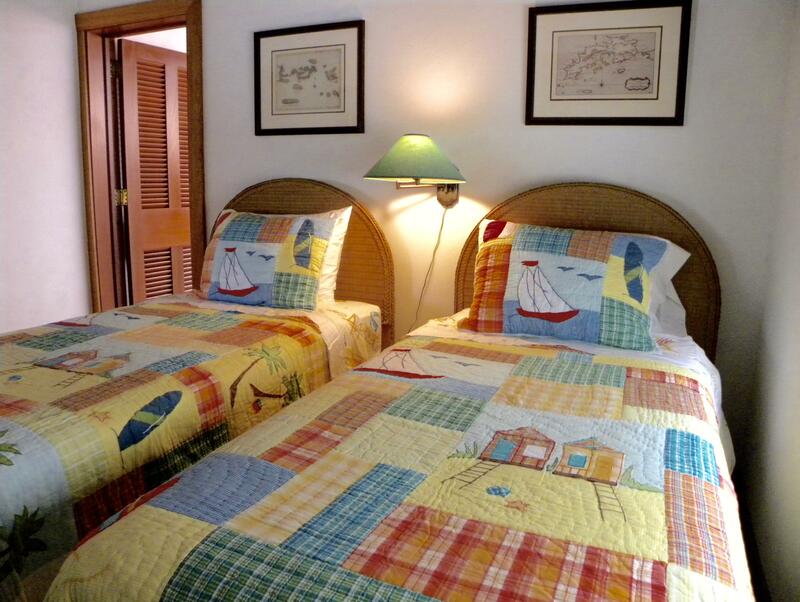 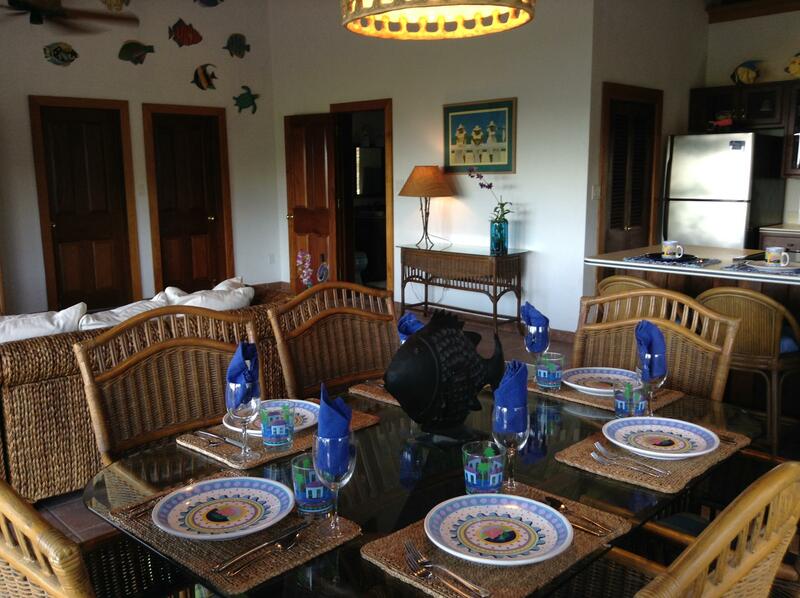 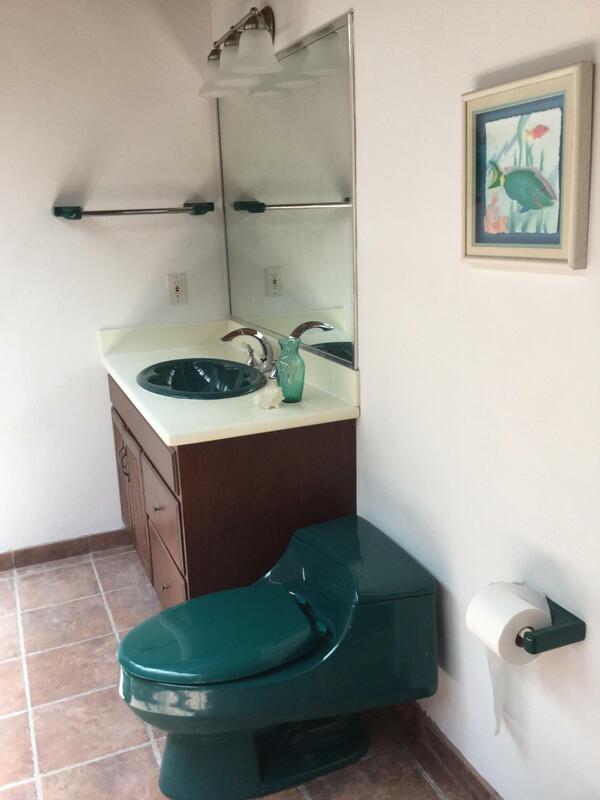 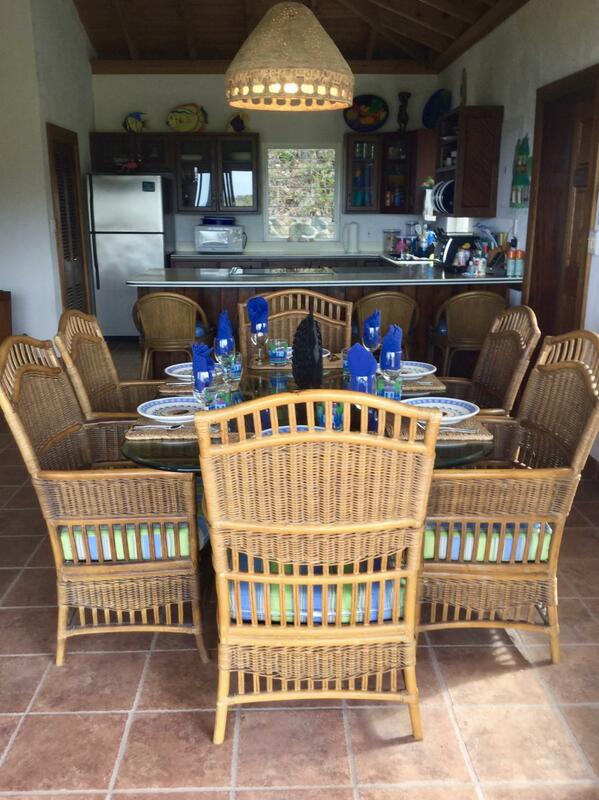 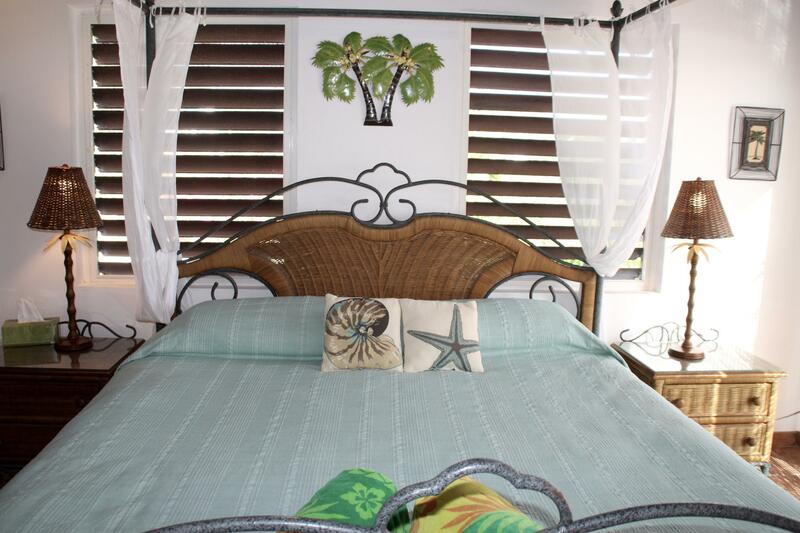 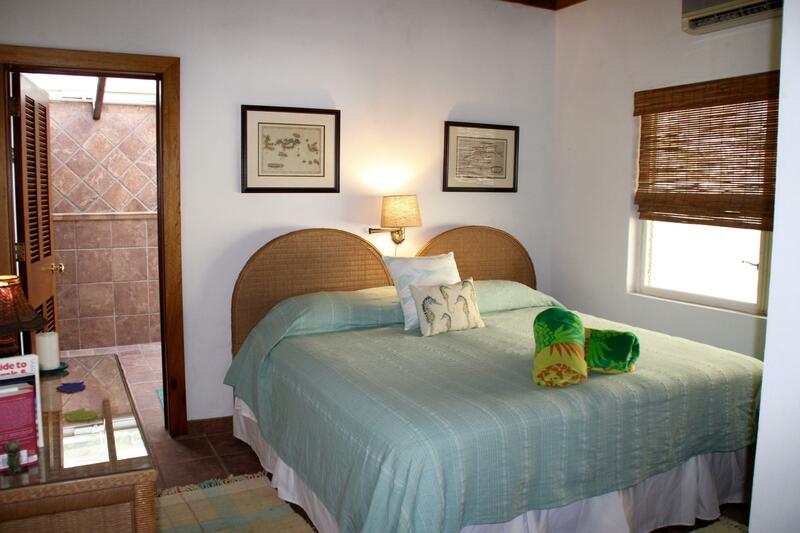 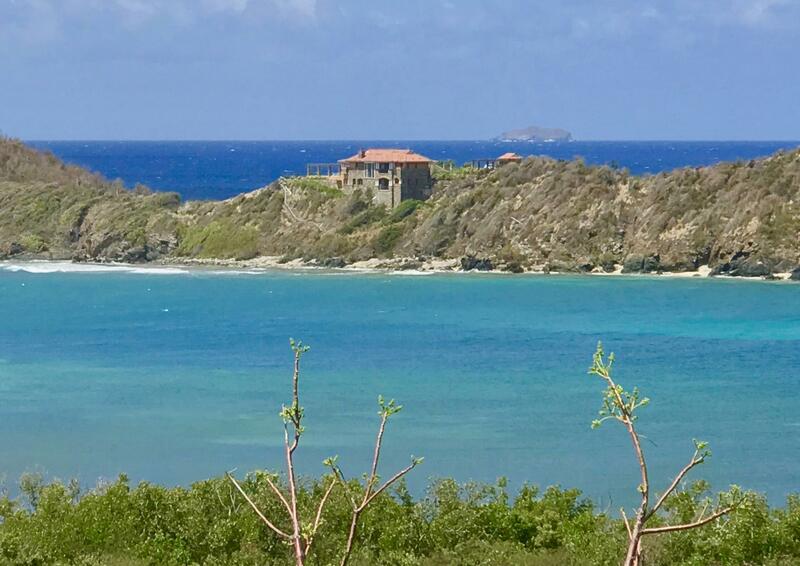 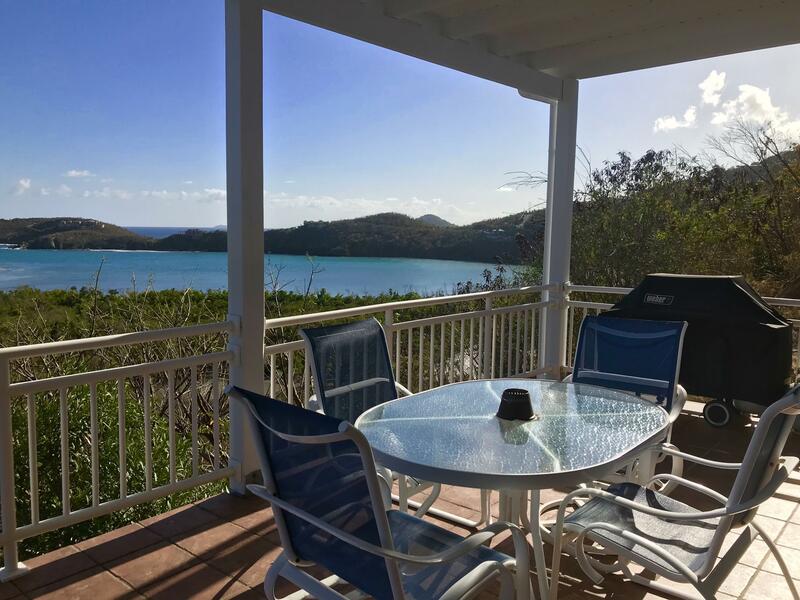 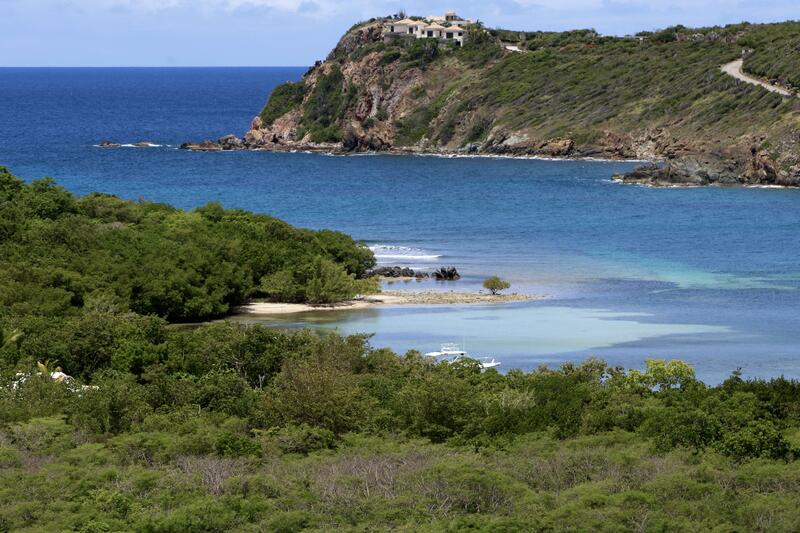 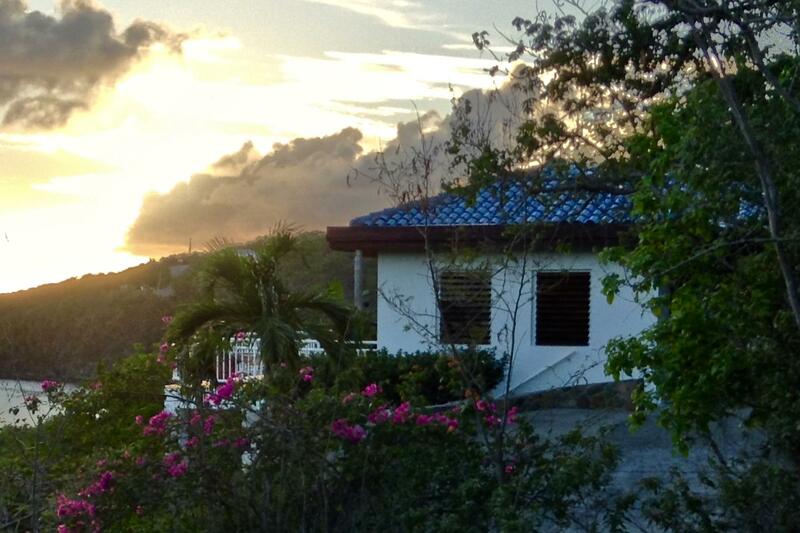 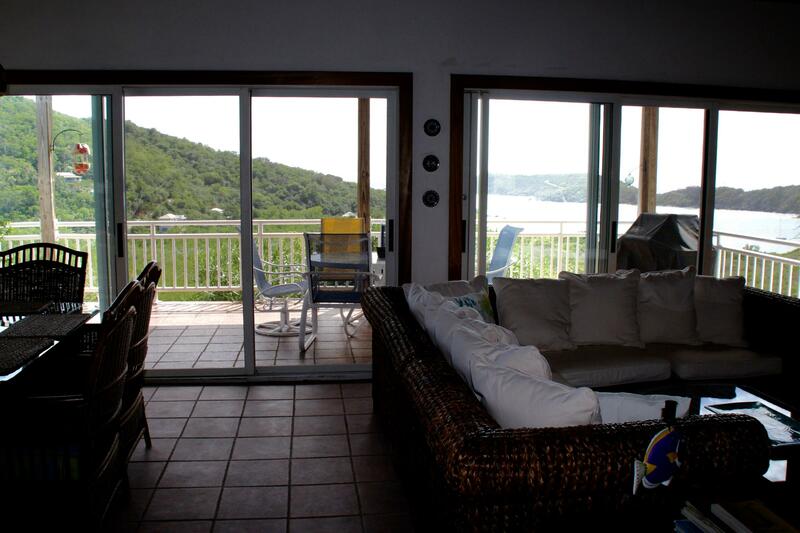 Private uphill property with views of Fish Bay and Caribbean Sea. 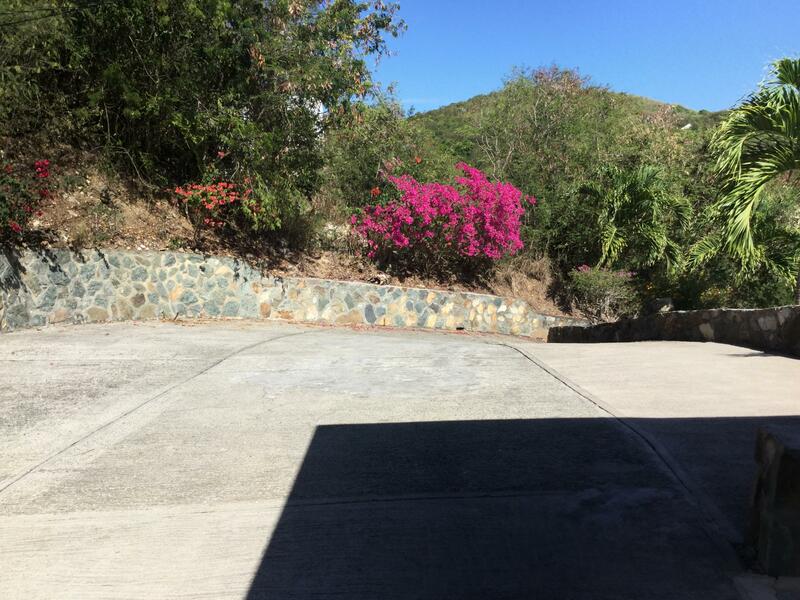 Steep paved driveway with turn around area and parking by house. 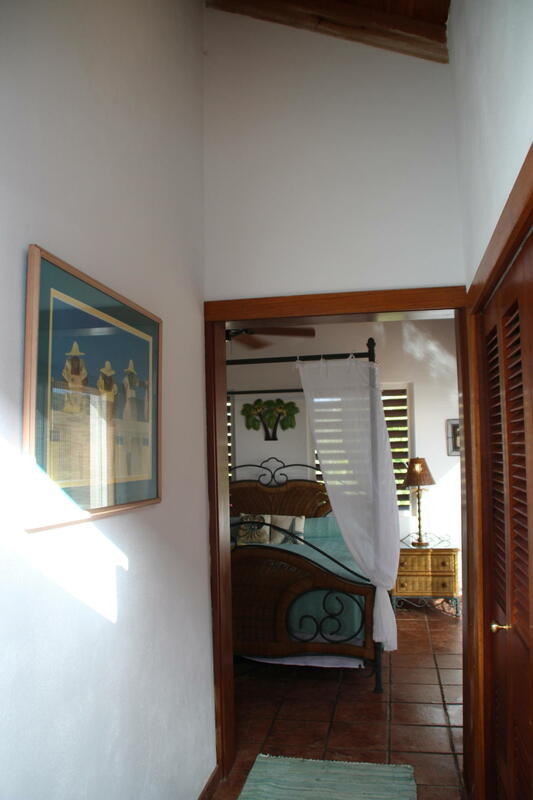 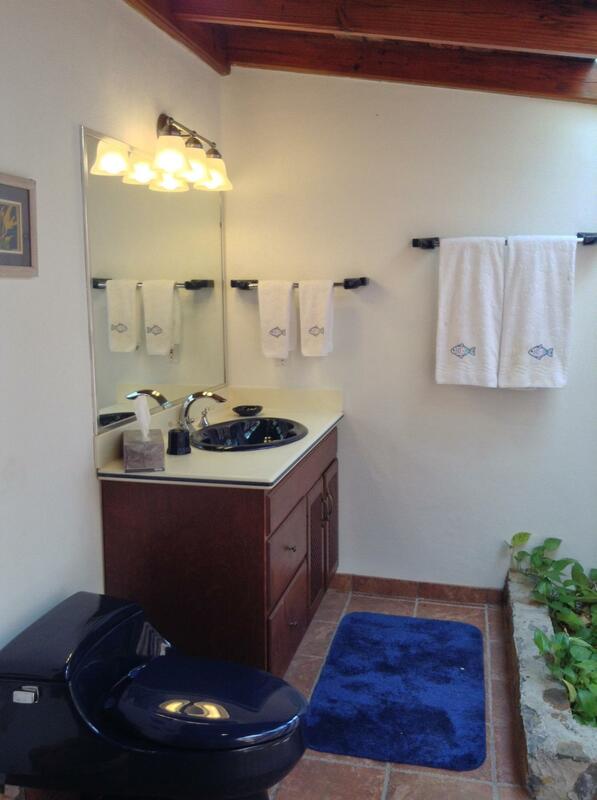 All living areas are at the same level as driveway with a separate master bed suite. 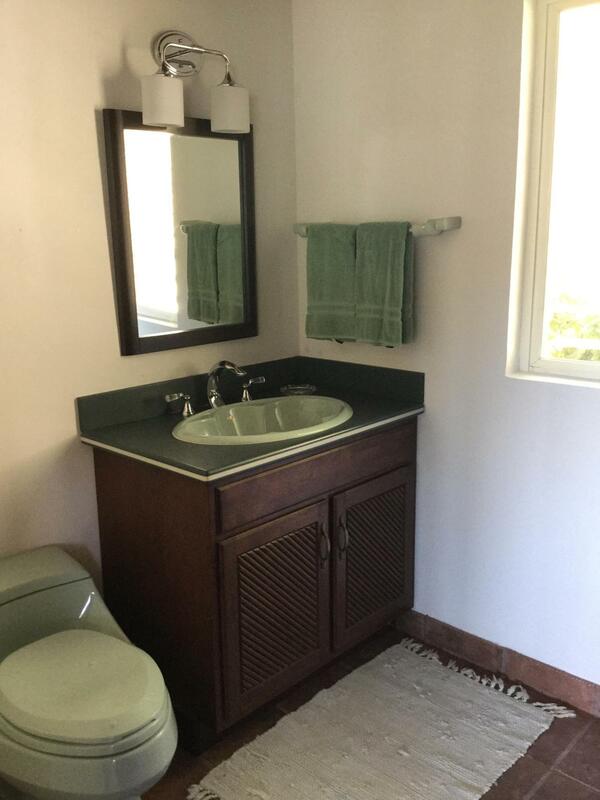 Storage area at lower level with possibility for additional living space.